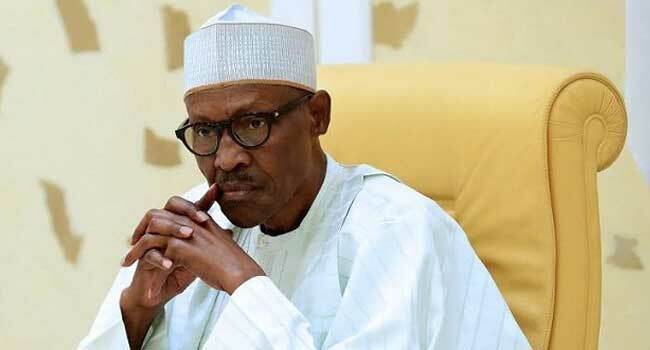 Thugs yesterday attacked the vehicle of Kuje area council chairman, Alhaji Abdullahi D. Galadima and his vice, Samuel Tanko Duda, after a stakeholders meeting at the Kuje town hall endorsed President Muhammadu Buhari’s second term bid. NairaNaijaNews.com learnt that the hoodlums smashed the windscreens of official cars of the chairman and his vice. A witness, who identified himself as Benjamin, said the incident happened at about 1:13pm shortly after the APC stakeholders/executive meeting which had Senator Usman Jibrin Wowo, Danladi Etsu Zhin, Abdullahi D. Galadima, and other party chieftains in attendance. He said the chairman and his vice were driving out of the town hall, venue of the meeting in a convoy when the thugs started throwing stones, which smashed the windscreens of the black Toyota Prado SUV the chairman was in; and the Toyota Camry, 2016 model carrying the vice chairman. He said the chairman and his vice narrowly escaped when a team of Police Mobile men shot in the air and dispersed the hoodlums. “Actually, it was after the party’s stakeholders meeting where they met and decided on the upcoming ward congress, and also endorsed Buhari for a second term, that the thugs started throwing stones,” he said. Our reporter observed some of the thugs carrying cutlasses, sticks and stones, as mobile policemen used tyres and logs of wood to block the road leading to the council secretariat. A signboard with the chairman’s banner was allegedly removed after some of the thugs pulled it down and set it ablaze in the middle of the road that leads to the council secretariat. City News, however, observed heavy presence of armed security at the front of the council secretariat and some streets within the metropolis. Reacting, Galadima said he and this vice were driving out of the venue of the stakeholders meeting when some thugs started hurling stones at his vehicle. He alleged that the attack was planned by some persons ahead of the party’s stakeholders meeting. “I thank God this incident happened in the presence of security agents and I am sure they will swing into action by going after the perpetrators,” he said. When contacted, the FCT police command spokesman, DSP Anjuguri Manzah, said he was not aware of the incident, but told our reporter that he will get back to him. As at the time of filing this report, however he had not gotten back to our reporter.